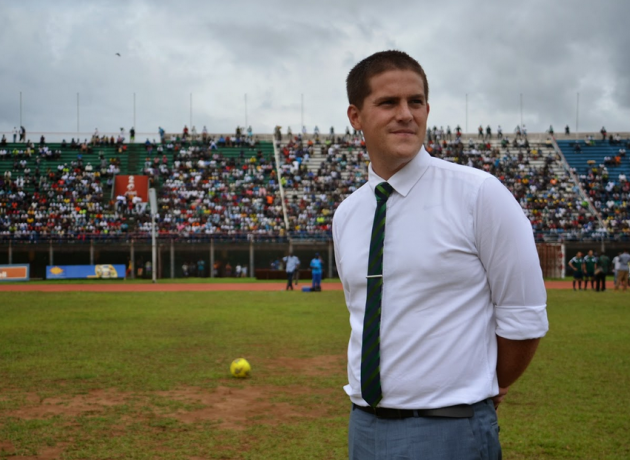 After a remarkable stint as Sierra Leone manager, Johnny McKinstry was confirmed as Rwanda's new coach a fortnight ago. WHEN THE EBOLA virus brought Sierra Leone to its knees, there was plenty of collateral damage. The football team were in the midst of Africa Cup of Nations qualifying when the lock-down happened. They were soon left homeless after the Confederation of African Football (CAF) ruled that no team could travel to the country to play matches. Laughably, they were forced to play one ‘home’ fixture in DR Congo…against DR Congo. Before an away assignment in Ivory Coast, there was a genuine concern days beforehand that Sierra Leone’s players wouldn’t be allowed in the country. They arrived the night before the match. There were plenty of other logistical nightmares to contend with too and after successive defeats, the team’s 29 year-old manager Johnny McKinstry was sacked. In his 15-month spell in charge, the Lisburn native had brought the side to its highest-ever position of 50th in the FIFA world rankings. Under his management, the team played attractive football, scored goals and racked up some important results. Still, the circumstances mattered little to those in power. When the dust settled last autumn, McKinstry weighed up his options, travelled extensively and finally decided on his next move: Rwanda. “I was looking for something that whet my appetite but also somewhere there was a bit of potential for success”, says McKinstry. But Rwanda’s football history is almost non-existent. The country has never qualified for a World Cup and has only ever made it to one Cup of Nations tournament in 2004. The current squad is made up of locally-based players with a handful plying their trades at low-profile clubs in France, Belgium and Albania. Still, McKinstry is excited by the amount of contact time he will have with his new group and knows that because of the resources, he can concentrate solely on coaching and getting the best from his players. On the east of Africa, Rwanda is almost 5000 kilometres away from Sierra Leone. 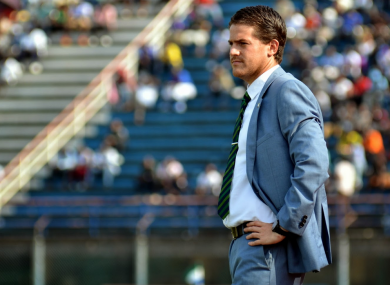 Having spent almost five years building a home on the west of the continent (he was the Technical Director and manager of Craig Bellamy’s Elite Soccer Academy from 2010 until late-2014), McKinstry must now start from scratch again. Luckily for him, he thrives on new locations, absorbing the nuances and differences. 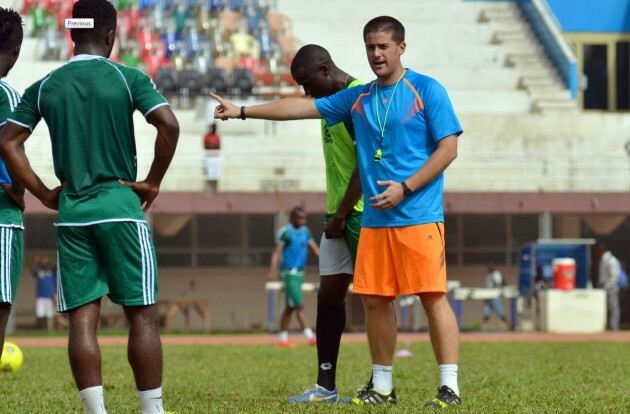 Johnny McKinstry belied his youth by taking the unlikely Sierra Leone to the top-50 in the world. Now, he's hoping for similar success with Rwanda. His coaching has taken him from Lisburn Distillery to MLS side New York Red Bulls via spells at Newcastle United and the University of Northumbria and though initially seeking out a position with a club team in the aftermath of his time in Sierra Leone, he’s enthused by what lies ahead. Rwanda’s history is dominated by the harrowing events that took place between April and July 1994 when 800,000 people – mostly of the Tutsi minority – were slaughtered. Over the last two decades, the country has attempted to move on but it’s intrinsically linked to a notorious genocide, the shadow of which seems set to loom large indefinitely. 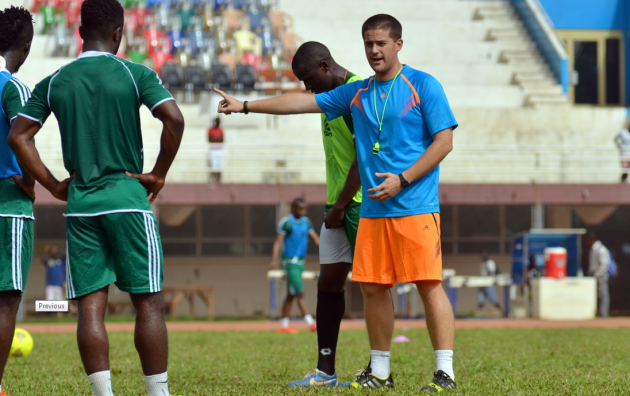 With Sierra Leone having experienced a brutal Civil War as well as the Ebola epidemic, would McKinstry not have preferred his next managerial appointment to be in slightly less fractious climes? Was there any interest from teams in the Caribbean? Or how about from nations like the Maldives or the Seychelles? Following his stint in Sierra Leone, there were a number of intriguing proposals put to him from teams in Asia and from the Americas, but he was intrigued by the amount of fixtures Rwanda will be involved with in the short-to-medium term and the hands-on time he will get to spend on the training pitches as a result. McKinstry is looking forward to spending plenty of time on the training pitch with his Rwandan players - something he relishes. Already, he’s overseen one game: a 2-0 friendly defeat to Zambia last weekend. An encouraging performance, the bulk of the Rwandan team was made up of Under-23 players. But there’s no time to dwell on results. Just like McKinstry wants it, the matches are coming thick and fast and there’s an instant opportunity to bounce back and learn from mistakes. Next up are the Olympic qualifiers in a fortnight’s time.